PRICED TO SELL QUICKLY! TRAILER IS INCLUDED!! 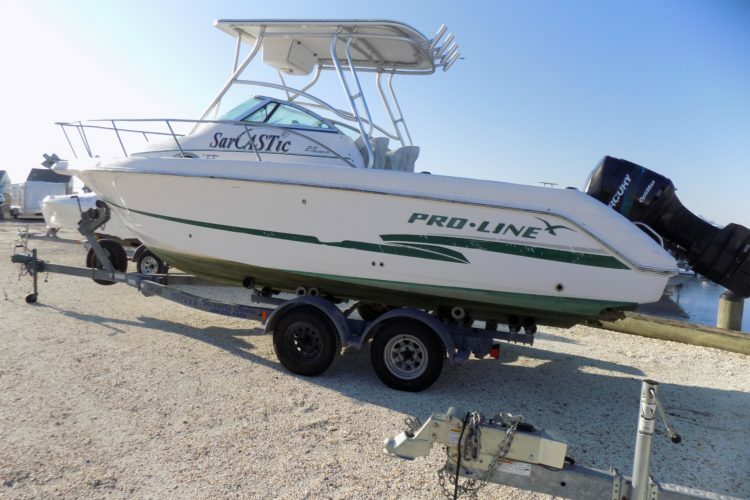 Well maintained 2001 Pro Line 23 Walkaround. Mercury Optimax 225 with 630 hours. Hardtop, porta potti, trim tabs, VHF, dual batteries, new cockpit vinyl 2017, trailer is included in the price.